The success or failure of your wedding reception depends overwhelmingly on your entertainment company. Your entertainment company must offer you high quality sound systems and a vast music library. They must offer trained, professional DJ entertainers. They must have a passion for what they do. And they absolutely must be responsive to your needs. A lot of DJ companies come and go. We’ve been around a long time. You can count on us to be there for you on your wedding day. And you can count on us to provide the same impeccable and outstanding service that has earned us the reputation of being not just Pennsylvania’s top wedding DJ company, but THE go-to wedding DJs for the Tri-State Area. 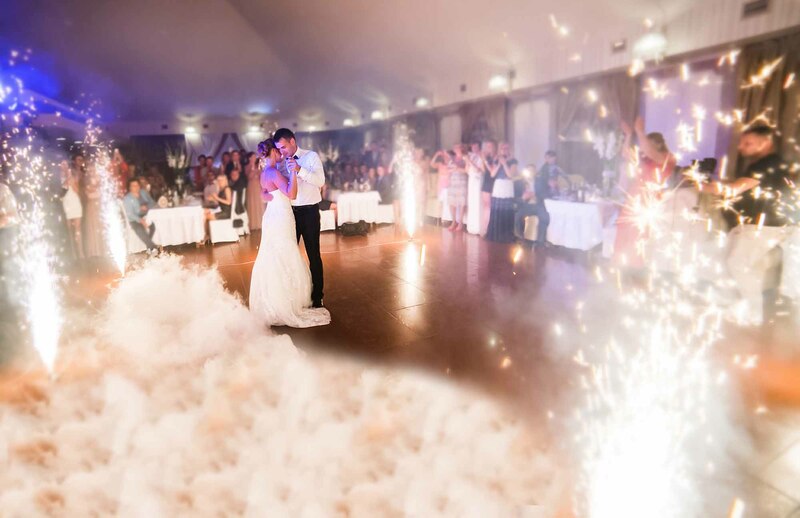 Starlite Entertainment gives you everything you need for a wedding reception of your dreams. Most importantly, we offer you reliability. Call now at 888-477-4780 to introduce yourself and tell us a little about your wedding plans. We’d love to talk to you. Discover why we are considered Pennsylvania’s top wedding DJ company. You have found the right DJ for your wedding. Assist you in coordinating your Reception starting with the day you book your Wedding. Meet with you as your Wedding Day nears to go over all the details of the day. Emcee your entire Wedding Reception ~ ensuring all the moments happen as planned. Coordinate the music and all events working with the caterer, photographer, and any other professional. We will provide you with at least two DJ‘s, at no extra charge to you. You will get one of the owners at every event. You don’t hire us to hire someone else. The person you meet, will be the person or persons to work your event. We will provide you with suggestions and ideas in order to accommodate your every desire. We also give you the chance to set your own playlist. At your reception, we will coordinate all of the bridal introductions beginning with the parents of the bride and groom, bridal party, flower girls & ring bearers, best man & maid/matron of honor, and the bride and groom. The cake cutting, bouquet, and garter toss will be entertaining and roaring with anticipation. More importantly, we will synchronize all activities with the Maitre’D, photographer, and video specialist so that your evening will progress smoothly. In the end, your wedding will be everything you ever dreamed of.